Take a power nap as your eyes will be shut the entire time during the extension process. Unless you wish to look like Beyonce or Kim Kardashian, it’s recommended to go for a more natural feel for a start. You can always add some drama later. 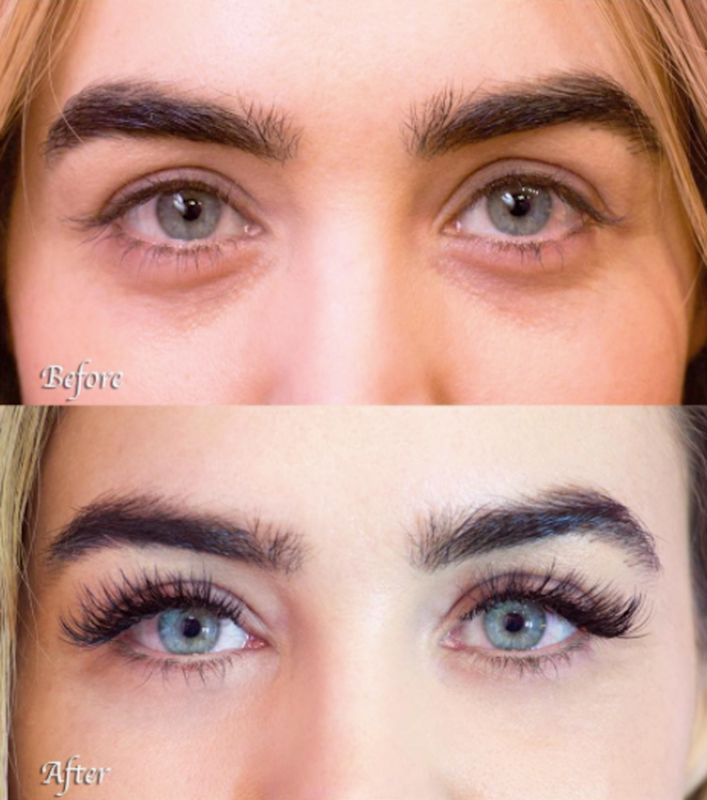 That’s right, there are a number of different diameters, curls and lengths of lash extensions along with different looks and styles that can be crafted. The most popular looks include the cat-eye, where the outer corner has the lengthiest length, or an open or round shape, where the middle has the longer length. 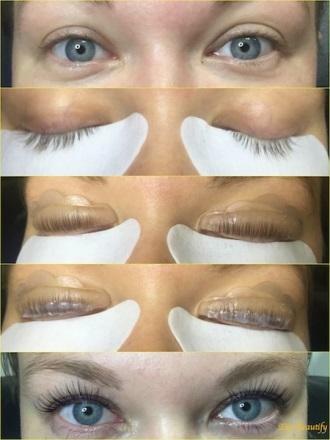 The key to good eyelash extensions is the method of application. If eyelashes are applied professionally, using high-quality products, they will never pull-out or break-off your natural lashes. Also, you should be careful to not pull or pick them. We recommend a filling-up visit after every 3-4 weeks. Want them to last longer? Keep in mind not rub or touch your lashes roughly. You must also keep them clean and brush them with a spoolie a few times a week so they flutter even magnificently, drawing more attention to your face. The best quality of lash extensions is that they let you ditch your eyelash curlers and mascaras but this surely doesn’t imply that you can’t add some dramatic finishes by wearing eye makeup. Enhance your eyes with a sultry smokey eye or winged eyeliner and rock your look. But make sure you’re using only an oil-free formula to remove it. To all water lovers out there, this is some good news. Simply wait for about 12-24 hours after your appointment before you get them wet. Then? Swim, work-out, shower whatever. Ever wish to take a break from your lash extensions? There are two ways to go about it- get them taken-off professionally or let them fall off on their own. Removal takes just a few minutes. There are many lash boutiques in every city and it’s hard to select the right one. Go for a lash artist who’s a certified and experienced professional, answers all your questions and gives you and the process ample time. So what are you waiting for? Book your appointment now and get those dreamy dramatic lashes that you’ve always wanted! Flawless and beautiful eyelashes give you the most attractive and unique look, making you truly feel like the princess you are, which is why it’s important to have a lash care routine that keeps them looking good, healthy and attractive no matter what. Unfortunately, many of us have unknowingly adopted some habits and practices that might ruin the lashes in the long run that can have an overall impact on your appearance. Don’t let these frequent blunders get in your way of luscious, long lashes. It's essential you use an oil-based makeup remover for gently getting rid of any makeup on the eye area. Hold the cotton pad against your eyelids for some seconds in order to loosen the products so you don’t have to work too hard to remove the mascara. Rubbing harshly, even when we have this urge when we’re too tired, will aggravate the eye area and cause the lashes to fall out. We already know how bad it is for the skin to wear makeup overnight. Sleeping with mascara on implies the same for your lashes. The product causes the lashes to harden and the chafing against your pillow leads to lash breakage. We know how false lashes take you entire fashion game to a whole new level but if you’re in the habit of removing them with a makeup remover, you’re doing some serious harm to your natural eyelashes. Always loosen the glue with Q-tip dipped in an oil based cleanser before taking them off. Also, if you have lash extensions, make sure you seek professional guidance for removal. Waterproof mascara is lifesaver especially when you have to travel on those hot sunny days but they’re a big NO for everyday use. The ingredients used to create this category of mascaras do last longer but they do dry your lashes out, making them brittle and more prone to breaking. Who doesn’t adore curling their eyelashes so they immediately appear three times bigger? But you must make sure to curl them with a lash curler first (while not keeping it too near to the eyelash rims) and then complete the look by adding a mascara. Your lash cuticles will get damaged, causing eyelash breakage if you don’t do so. Old mascara gathers bacteria that can lead to itchy, watery eyes, infection and lash loss. Thumb rule for eyeliner/mascara is to be replaced after every three-four months. Also, if you blow dry the lash curler for long-lasting curling effect, you should stop now. Excessive heating weakens the foundation of the lashes and breaks the hair down. 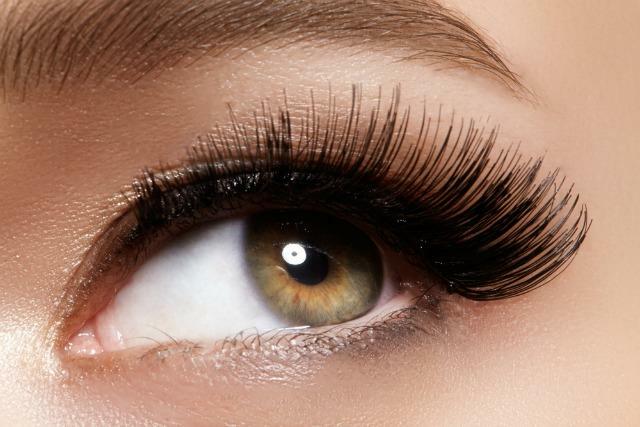 Avoid these habits to your enjoy those natural, voluminous lashes. Apply castor or olive oil to your lashes with a wand before going to bed to make your peepers pop out even more. If you’re anything like us, we understand your continuous quest for fuller, longer lashes. Therefore when makeup gurus like Hrush Achemyan and Karrueche Tran (who work with the Jenner-Kardashian family) started posting beautiful results of eyelash lifts on their Instagram, seen now on almost all our favorite fashionistas, we had to take notice. Like the name suggests, an eyelash curl, is a chemical process that gives a semi-permanent curl to your eyelashes for weeks in just one go. Whilst extensions easily cost you around $200 and also need regular monthly touch-ups, lifts and perms both are normally done under $100 (hey it’s still way cheaper), and the number of maintenances is totally up to you. Like extensions, you get to decide the type of final product. 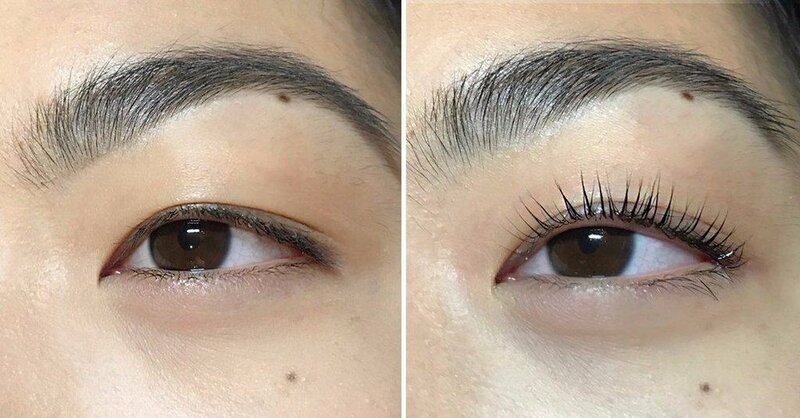 Women with straighter lashes love a bit of drama while those with some curl prefer a more natural choice, or somewhere in between. 1. It all starts with cleansing your lashes with a gentle foam or oil cleanser. You can’t have a single product over them at all. 2. A silicone shield is then rubbed to the eyelids. 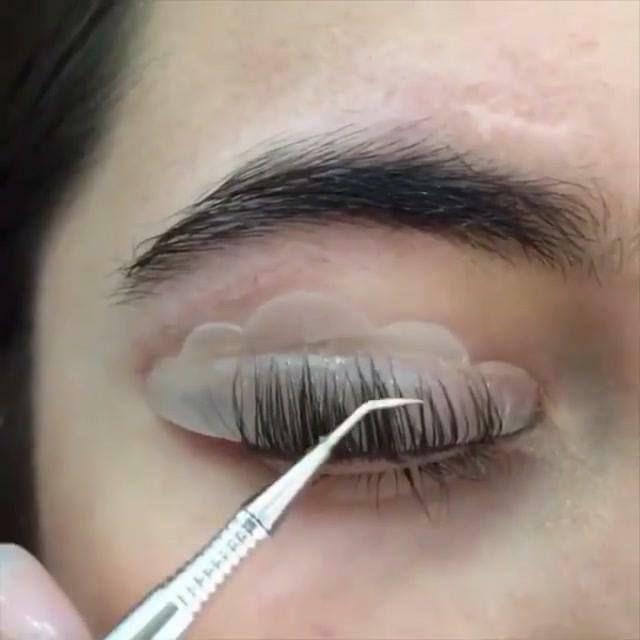 As soon as it gets sticky, the beautician adds the same adhesive on top of the silicone formula and uses a brush or a roller to lift the natural eyelashes upwards onto the shield to provide it with the required shape. 3. Now comes the part that’ll actually make you fall asleep. A lifting formula is applied to your lashes for around ten minutes. The perming crème is then removed with a moist Q-tip and another solution is applied. 4. The second lotion, referred to as a “neutralizing fix crème” is a setting lotion applied for around five minutes to basically lock in everything. The strip is removed and some nourishing oil or keratin treatment is applied for an additional boost of strength and hydration and voilà - you’ve the most gorgeous lashes of your dreams that look super real. An eyelash lift not only shortens your makeup time but also lets you head out without worrying about your mascara not lasting long enough (you can always add some though for more drama). With busy women always looking for new ways to feel prettier, this effective beauty technique is all what they need to add a wave of fluttering curls to the eyes, making them look bigger. With time (5-6 weeks), most of the lashes start relaxing and you’d need a second (touch-up) visit which isn’t as costly as the first one. Note: The process is NOT at all painful and is perfect for those with ultrasensitive eyes. So ladies what are you waiting for? Book your appointment and get those dreamy dramatic lashes that you’ve always wanted! Every woman loves to put some makeup on before stepping out even if it is some mascara around the eyes. For most of us, it seems to have become so routine that we hardly give any second thoughts to it. However, each one of us has some ‘getting ready’ essentials that we can’t think of living without. The routine and essentials may vary from woman to woman but the need to minimize the daily makeup routine keeps nudging us as we have to deal with our modern day busy routines. Fortunately, we have now a great way to cut back our beauty routine to the minimum saving us a lot of time, Eyelash Extensions to the rescue! Let’s give you a detailed account of how these amazing beauties help to save you from your eye enhancing struggles. 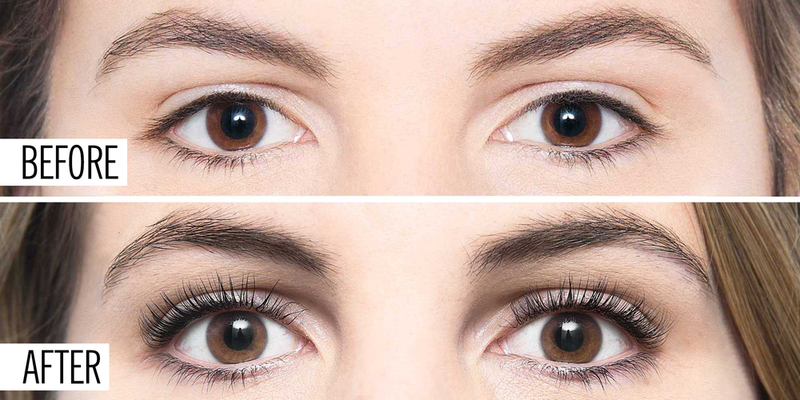 What makes Eyelash Extension so great? include their low-maintenance, great staple for those not good at makeup or if you are just looking to minimize your makeup routine. Moreover, getting them done by a certified and experienced expert will always leave your eyes looking enhanced naturally. The most basic and obvious benefit of getting eyelash extension is that you wouldn’t have to invest your money and time into mascara. Getting extensions would help you get rid of the mascara for a while completely. You will have those luscious and fuller lashes that would take your glamor game to the next level. So, it would provide aesthetic benefits along with saving you from mascara touch-ups as well as the mascara streaks while you are at the pool or beach. Plus you wouldn’t have to dedicate any time to applying and removing the mascara throughout the day. If you are a girl who is mediocre at the very best when it comes to eyeliner application, then you must get the extensions without any second thoughts. As the extensions would cover up the lack of your confidence in the eyeliner department effortlessly. In other words, they will simply your beauty routine that you wouldn’t have to apply the eyeliner at all. The eyelash extensions pop your eyes like they would if you had applied eyeliner on the upper lash. It means that you would no more have to worry about getting identical cat eyes. You would be thrilled to find out that getting extensions would mean you being good to go right after rolling out of your bed. Extensions do more than just offering the benefit of ‘no mascara’, they also offer you a minimal makeup routine. This is because your extensions frame the eyes so perfectly that you would feel you need lesser makeup than you could ever deem possible. It would also mean that you would have to spend the least time on getting ready while looking naturally gorgeous and confident. Natural beauty can never be overrated and with more and more people going towards natural skin care regimens, the need to minimize chemicals is rising. The lash extensions will provide you a great way to get rid of most of the chemicals included in your beauty enhancing routine and help your natural beauty to shine through. The above-mentioned benefits of getting eyelash extensions have proved that they are a great idea if you wish to cut back your makeup routine. You can also let your natural beauty shine through with them. So, if you are thinking of getting them, visit our website for details. 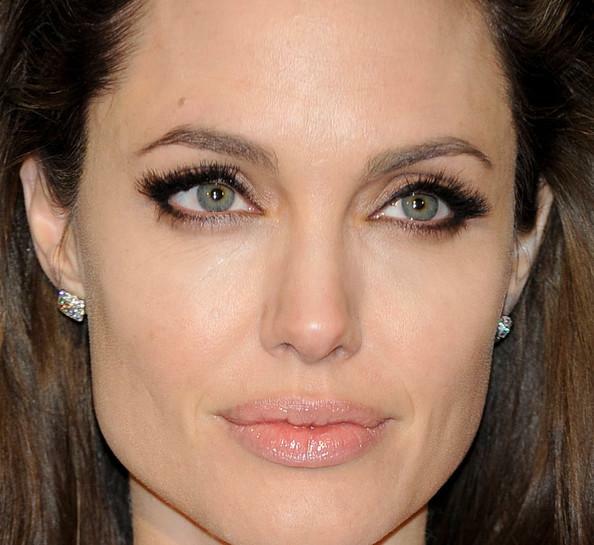 Brow hacks that every woman should know! We all aren’t as blessed as Cara Delavigne, but we still need to work something out for the love of beauty- don’t we? For that very reason we have put together a list of few hacks that are going to help our lovely ladies get some ‘on the fleek’ kind of brows without doing much effort, so without further ado let’s get started! Shape your brows in natural light. Yes, there are to be no questions asked about this. Fluorescent lights only make you tweeze your brows as much as twice than you really should. Tweeze your brows in natural light to get a natural shape and to avoid any bald spots or stray hair after tweezing. You know the best time to tweeze your eye brows is when you are stuck in traffic during the day because you get all the natural light to see what hair don’t belong to your brows, so keep a tweezer in your car and plucky away! 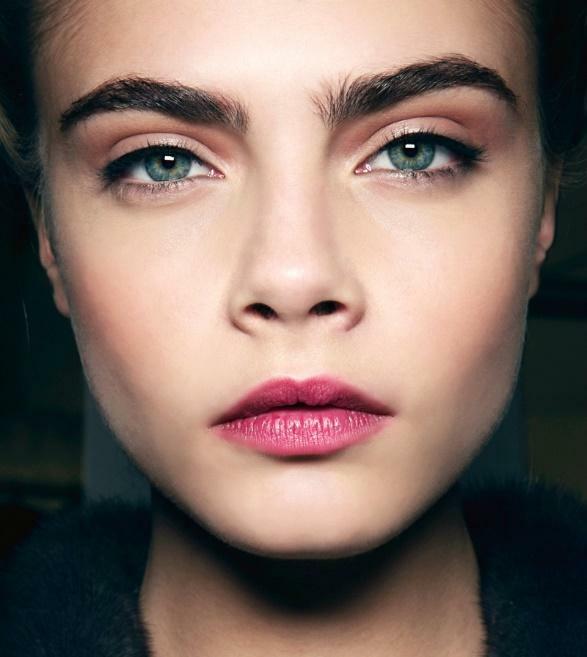 Let your natural brow shape be your guide. Why would you do that because you have bushy eye brows and they are all over the place? Nope. This is because we all have a natural hairline for brows as well so the next time you tweeze, stand a little further away from the mirror and watch your brows carefully and you’ll see their real shape- then you take your damn tweezer and pluck all the way. This would make your brows look natural as well as cleaner than before. There is no symmetry in brows. This is not really a tip or hack, but it is something that can surely save a lot of us from spending that extra hour in the bathroom trying to produce identical twins out of your brows. It’s is totally normal to have an extra arch in one while the other one slides smoothly over your face. Trying to force symmetry on your brows will only make you over pluck your brows and have bald spots here and there in the end which are not even fillable by the brow pencil so quit the ritualistic behavior and enjoy the little imperfections! Filling your brows right. Whatever method you use for filling up those gaps and bald spots, make sure you know how to do it right – learn the art of shading – brows are not meant to be a single shade, instead they follow a shade spectrum so try and get creative with filling. Natural brows are usually darker towards the tail and lighter towards the inner corner, so to achieve brows that are flawlessly natural opt for the same style and fill in your brows with a shade that matches that of your hair – unless obviously you have dyed your hair of some other color than your natural color because then you will have to dye your brows as well! Timing. Always. Always do your brows after you have done your make up. This way you will know if you have overdone your brows or they are okay with the overall look. Completely made up diva brows do not compliment your no makeup make-up look – so be very afraid! Na, it’s perfectly fine with practice you will surely ace it! Use a concealer to tidy up the errors you made. In all honesty, concealers are a blessing, they are the magic potion that we all needed in our lives to correct all our mistakes. So use it for your benefit while you have it. Apply concealer under your brows to hide any excess make up. To add a little oomph factor to your brows you can add a concealer to your brow line just underneath the place where you plucked your brow hair. That’s about it, you guys! Now go and get your brow game on point!